The remaining fifteen minutes of the evening was an open mic, finishing with a reading by Bonnie Shiffler-Olsen who officially ended the program. 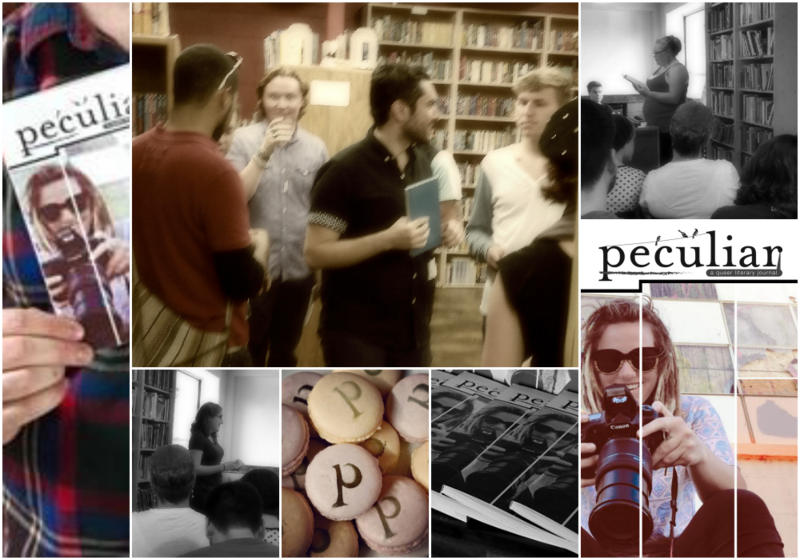 The launch party was a great success and we officially sold out of every print copy of peculiar. A PDF version will soon be up on the website.